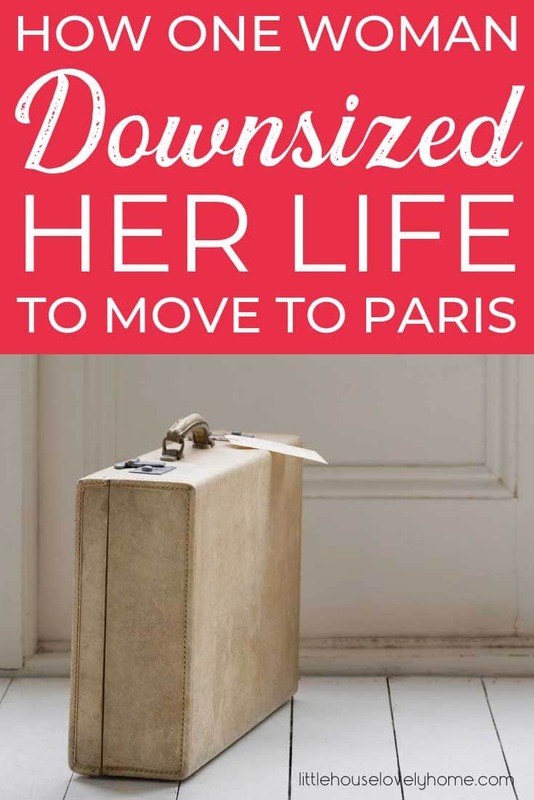 This week Tammy from Bonjour Adventure shares her story of downsizing for love (and Paris!). Have you seen that movie: American girl visits France, falls in love with a dashing and charming Frenchman, and then, on a whim, moves to Paris to be with her love? I’m incredibly lucky (and crazy) to be that American girl! But, nothing wonderful in life comes without some big decisions and challenging times. 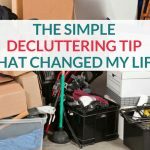 This American girl had filled a house full of her stuff, had a life and friends and a great professional network that she had to leave behind. The decision was easy, but the tasks ahead were sometimes painful and often difficult. In August a year ago, a French friend of mine was getting married in the South of France and I went to spend two weeks with the family at their pool surrounded by vineyards and charming country homes. A favorite cousin of my friend caught my eye, and as life would have it, I caught his. One week together in this serene environment, and we were head over heels. I came back to the US with dreams of moving to be with my new love, but how could I leave my life, my friends, my family in the US? At the time, I had a very strong professional network, a ton of friends, and – after 7 years in the same 3-bedroom house – a TON of stuff. Three months of long-distance dating, and I was ready to take the plunge. I was going to move to France! In December we were engaged, in April we were married, and the following July, I was bound for France. But, this is not only a love story. This is also a story about downsizing. My fiance’s apartment came furnished, and the idea of taking a bunch of my second-hand Ikea furniture across a big broad ocean did not make any sense. Perhaps I should keep my favorite (non-IKEA) furniture, though? Especially my couches, and a few other items I was attached to. It was time to do some research. I checked out loads of shipping options: cargo on aeroplanes, shipping containers, a shrink-wrapped pallet, and even sending large Tupperware storage containers by FedEx. Some friends with family in Africa recommended large shipping cylinders, but while this is a really great deal financially, apparently it is only available for shipments to Africa. Nobody seems to ship this way to Europe. For European shipping, I want to alert you to the most expensive per pound option: FedEx and UPS. Never ever use them to ship a household of stuff overseas! Those companies charged about $8 a pound, whereas the myriad of cheaper options cost just under $1 per pound. For a whole house of irreplaceable or simply high-value stuff, the shipping container was a great option at about $7,000 for the whole kit and caboodle. That’s a super rough estimate, and quite frankly I didn’t need to know any more, because that was entirely outside of my budget. I hoped to spend about $1000 to $2000 max. However, for folks who have kids with lots of gear and expensive furniture, this is definitely the best option. I didn’t have a ton of stuff I wanted to keep, so a partial container could have been a good option for me. I could have shipped a few pieces of furniture, and almost all of the really important stuff. The price came to about $3000. Again, this was entirely out of my ideal budget, so I needed to think even smaller! At this point in my research, I came to understand that my budget would not allow me to ship all of my belongings to France. 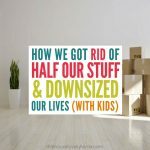 This is when my dreams met the reality of my budget, and I became acutely aware of the extreme downsizing that lay ahead. In the end, the shipping option that best fit my budget (at about $1 per pound) was a shrink-wrapped pallet of boxes. The pallet would haul 8-10 boxes, and might even accommodate a couple of small pieces of furniture if packed correctly. The cost was about $1000, so it was just inside my budget. Perfect! Then I discovered a new challenge: storage. 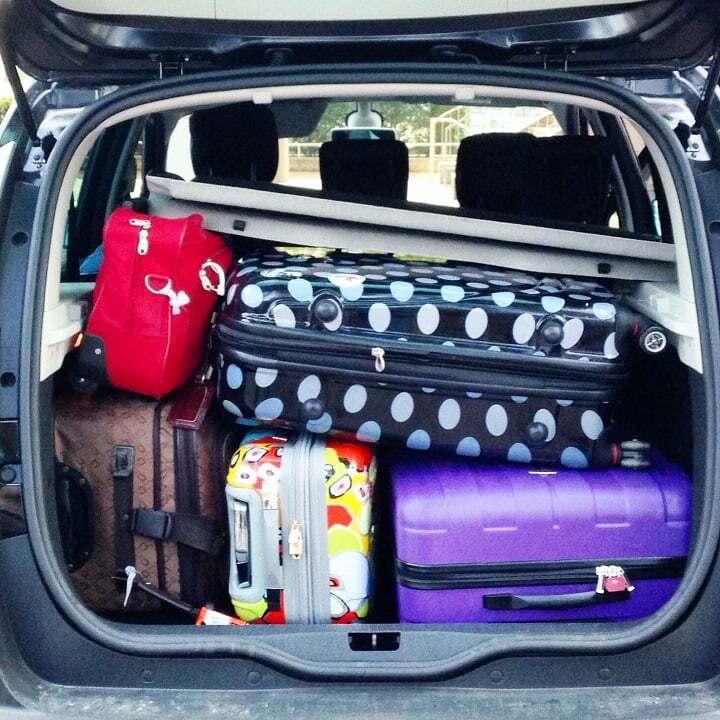 We had no space in France for all of that stuff. After researching storage options, I couldn’t swallow the cost, at about $1000 per year, especially in addition to the eventual shipping cost of a shrink-wrapped pallet. It was outside of my budget, and my stuff just wasn’t worth that much. Storage at a family member’s house in the US was the only option, but the amount of space available to me was very limited. We faced a similar situation with my future in-laws in France. A plan started to take shape: I could bring over the essentials in the short-term, which could fit in the small, furnished apartment in Paris, and leave the heavy bulky stuff to be shipped over later. In my research on shipping, I had included in my comparison the cost of bringing my belongings over to France on the airplane. To calculate this, I would take the total pounds an airline would allow me to take for free, and add the pounds of one extra piece of luggage. Then, considering the cost of one extra piece of luggage, I found that the total cost per pound. On certain airlines, the cost was only $1 per pound, which was right inside my budget! 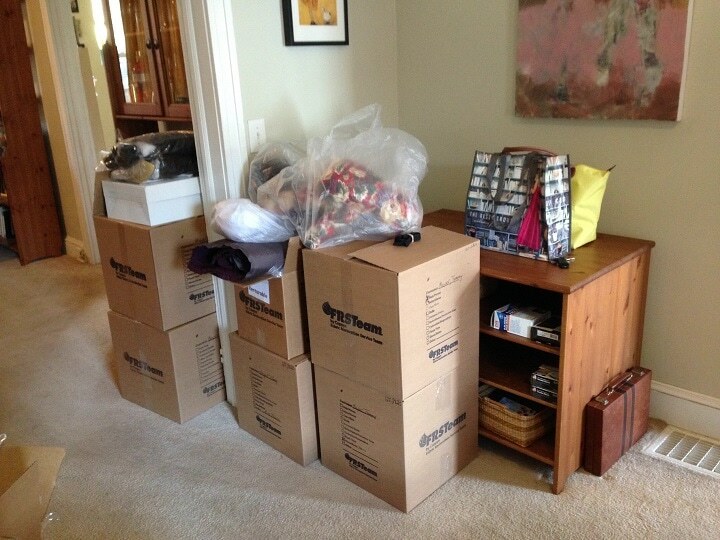 By purging most of my belongings, and bringing over only small amounts at a time, I could keep the shipping costs low. The less essential, and heavy objects like books, would stay at my parents’ house until we had more space and perhaps a bigger budget. In April, when I flew to France to get married, I brought over my inexpensive wedding dress and DIY party favors, and all of my winter clothes. I knew I wouldn’t need them in the US anymore, so they were the perfect first shipment to my new home. During that trip, I also brought mthebaskets that I love dearly and winter shoes and kitchen supplies that I thought were essential. After the wedding I had to return to the US to request my visa from the French Embassy in order to be a legal immigrant in France. I changed my name with all the important administrative offices, continued to sell the stuff I wasn’t storing or bringing to France, and got my visa in about 3 weeks. My new visa for living in France began in July, and I flew over to spend the summer with my husband and my in-laws. Again, I brought over one extra piece of luggage filled with clothes, shoes, books, favorite bags, etc. So, you want to know how I decided what to keep and what to ditch? 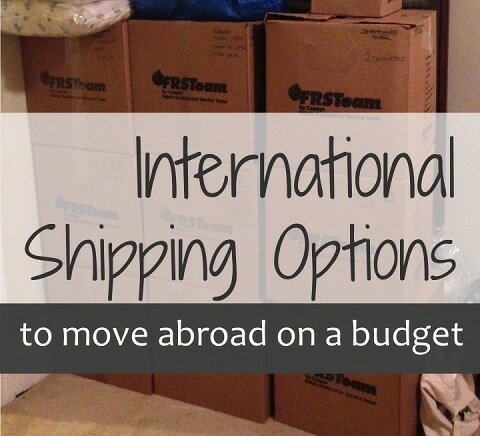 After setting a budget, I explored a variety of options to ship all of my stuff to France. In the end, in order to stay inside of my $1000 budget, I chose to send over the essentials and to store the rest of my favorite belongings in a small storage space at my parents’ house. Everything else had to go! When it comes right down to it, there isn’t too much I NEED to live with. I don’t have children or a health condition that requires special equipment. My career doesn’t require special tools I would need to bring with me. My situation is pretty uncomplicated, and as such, the only things I absolutely must have with me are ones that will allow me to stay connected to family, stay healthy, and succeed professionally. My short list includes:a laptop, a cell phone, an iPad, clothing, shoes, several important documents and travel essentials. I add travel essentials, because (1) they’re small things, and (2) I will certainly use them over and over again as I return to the US to visit family. 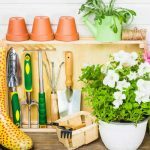 I had read some blog articles that suggested that when downsizing, it is important to carefully consider those sentimental items that can’t be replaced. On both sides of my family, my house had become a repository for sentimental family “heirlooms.” They had no monetary value, but as they were very dear to the family, I was forbidden from getting rid of them. I decided to ask other family members to take some of them: a cousin took a cabinet I grew up with, and a second cousin took the crèche my great-grandparents had made. Other items were small enough that I packaged them up to store in my parents’ house until my husband and I had a more stable life in France. Photos and memorabilia were a bigger challenge. I had 8 large boxes of this stuff! I was able to shrink this to only 5 boxes by trashing all of my childhood journals. All except one that had a particularly important story of a period of my life that I wanted to remember. I don’t actually recommend trashing journals unanimously. To decide whether my journals would make the cut, I’d open each one up to a random spot, read a bit, flip ahead a few pages, read, repeat a few times. Be careful and decide what value the object holds for you – or your future self. Sometimes what is important to us today is different from what becomes important to us 10 years down the line. It’s impossible to project that far into the future, but you should try anyway. Also, it’s important not only to think about yourself but also your legacy: your children or your family. What objects will they benefit from seeing or having? The best advice I received was from a friend who moved inexpensively with her professor husband to Iran for a few years. She told me to bring over kitchen tools that I love and/or use on a regular basis. This was pure genius! I have been so happy to have my kitchen supplies, and unfortunately, have felt the loss of a favorite spatula. I had given it away thinking I could easily replace it. I have since searched both French and US stores to no avail. Nobody sells it anymore! Keep the kitchen stuff you love, especially if it is at all unusual or possibly difficult to find again. 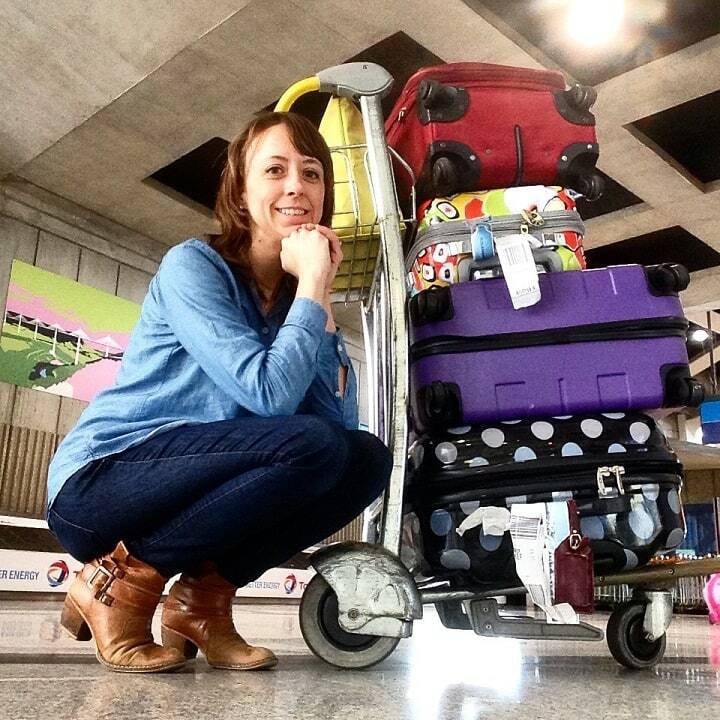 Moving abroad was as much an exercise in prioritizing, as it was an exercise in self-reflection. I had to think about what items brought me joy and would continue to do so for a long time. What kind of person am I, and what is at the essence of me that might be reflected in the things I own? 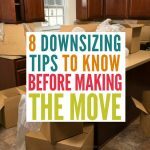 This is a deeply personal conversation that one needs to have when preparing to downsize to this degree. You can’t ask someone else for advice about this. You just need to look at each object and ask yourself several questions: How much do I love this? Does this bring me joy? Will I long for this if I am away from it for a long time (or forever)? Can I replace this item easily? Is replacing this really necessary? Sometimes I tend to be too pragmatic, so these questions were hard for me. As a result of this self-reflection and deep thought about the objects in my house, I determined that the look and feel of my home are important to me, and that, for example, my camping gear was not. In the end, I decided that most of the art on the walls were irreplaceable, several home décor items were irreplaceable, most of my books were very dear to me, and lots of my cheap, but artsy-looking serving bowls must be kept. There were a few other little things I kept that didn’t take much space: a minimal amount of art supplies, a favorite wool blanket. Some decisions were easy: anything I wouldn’t need in France, and that I didn’t want to keep for sentimental reasons went into a pile in my basement: stuff to sell or give away. Getting rid of something is a very personal decision, but for me, the get-rid-of-pile included clothing I didn’t fit into anymore or that was so old, it was completely out of style (for example: XL tie-died shirt from the mid-nineties). Other items I added to this pile: serving dishes and other kitchen supplies that were never used, art hidden under my bed that I didn’t like any more, notebooks from college that I had never looked at since graduation, books that I had no attachment to, board games that I never played, and generally speaking items that I instantly knew I had not used in years, and would not likely use ever again. It was very refreshing to make these easy decisions, and it helped create some momentum for me to make some of the more difficult decisions about items I was a bit more attached to. When moving overseas, it costs money to bring things with you, and the bigger it is, the more expensive it is to ship. For me, this meant that I had to get rid of ALL of my furniture. I kept nothing. 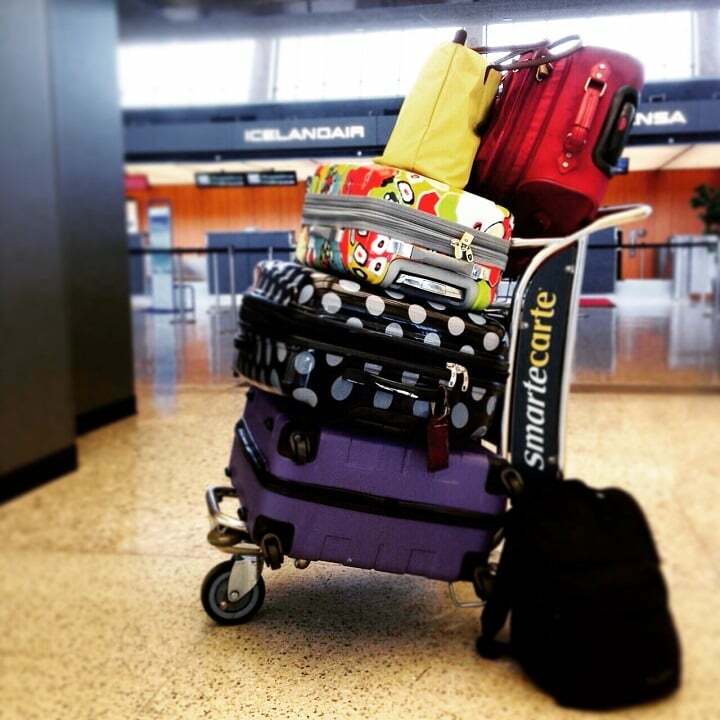 How can you, when you’re bringing everything over in suitcases?!? But it isn’t just size, it’s the weight, too. Guess what’s small and weighs a TON? Books and photos. Anything paper, really. I mean, they come from trees, so of course, they’re heavy, right? Ha! But seriously, I had to think long and hard about the paper-products I wished to keep. I was very careful in selecting books to keep and others to purge. I kept the books I loved dearly (John Steinbeck, old copies of Shakespeare, my dad’s books from his childhood), and got rid of those books I had never (and would never) read. My US cookbooks created a unique challenge, because they are huge and are difficult to find in France! I bought e-book versions of three of them, but most weren’t in e-book format, so I kept several of my favorites, and brought them over one at a time. Papers can be digitized, but loads of papers weren’t really all that important to keep. I purged all of those papers from college and grad school that I hadn’t looked at and would probably never look at. I also got rid of lots of “sensitive” documents that I had been keeping: bills, receipts, bank statements, health care documents. I digitized some of the really important documents I needed for tax purposes, created a single box of “stuff to digitize later,” and shredded the rest. I recommend finding a service to shred your documents for you, or a friend who can discretely drop them in her shredding bin at work. That was a lifesaver! 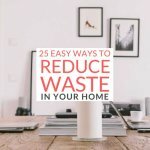 So, you could drive all of the stuff you aren’t keeping to the dump or to the Goodwill, but why not try to sell it and have some money to live on in your new country? I was semi successful in my attempts to sell my stuff, but some things, random bits of scrap wood, for example, held no dollar value. I took photos of items and posted them in an album on Facebook. The caption would include the price, and whoever commented on the photo to buy it would pick it up later. In this way, I was able to get a couple of dollars for those serving dishes and kitchen tools I never used. For some items, I posted on Craigslist as well. This had the advantage of opening up the audience to many more people, but the biggest known disadvantage: no-shows. Strangers flake out more easily than friends and family. I had one no-show that really disrupted my day, so if you choose to use Craigslist, keep this possibility in mind. I’ve heard of a guy who sold everything in his house on E-Bay, including half-eaten boxes of cereal. This might be a great option for some, but I chose not to deal with it, because I didn’t want to have to deal with the shipping. With E-Bay sales, one advantage is not needing to interact with people face-to-face, but one downside of selling a lot of stuff this way is the need to go to the Post Office rather frequently. Another option I didn’t try that seemed like a good bet was consignment. I decided not to do it, because I had heard that the shops only took clothes that were less than 5 years old, and came from top brands. Since a lot of the clothing I wanted to get rid of was more than 5 years old, and did not come from top brands, this didn’t seem like a good fit for me. Some of my favorite items were hard to say goodbye to, and so I delayed making a decision about them for a terribly long time. This was true for a few pieces of furniture and my favorite living room lamps. I think this hesitancy cost me some money in the end, because when I sold them at the very last-minute, I was up against a deadline, so I had to take offers that were well below what I had hoped to get for them. A word to the wise: don’t wait too long to make a decision about items that have any value. The longer you wait, the less likely you’ll get a good price for it when you try to sell it. I was so hesitant to sell my favorite $40 Pier One lamps that when I eventually sold them right before the move date, I got half of the price I had originally hoped for. What about the stuff that doesn’t sell? I couldn’t sell it all, both because I ran out of time, and because so much of the stuff in my house wasn’t valuable. Nobody wants to pay money for a set of badly stained formerly white plastic lawn chairs, or out-of-style jeans, or an old thermos I had had for 15 years. At least nobody I knew and nobody on Craigslist. So, the stuff that I didn’t sell went to Goodwill, and I documented every piece of it for tax purposes. Old cell phones from 10 years ago and other electronics went to the recycling center, as did glasses I grew out of from my childhood. That’s right, I kept my childhood glasses… I sure had a lot of random stuff! Some items were really odd: a rock and seashell collection from childhood. It felt odd to trash the collection, because someone might want it, but who? My husband suggested that one of my friends, an artist, might like to use the collection in her artwork. When I asked her about taking the rocks she was both thrilled and honored. The best part was that she was, at that moment, working on an ocean related piece! I was so glad to find a home for those old stones and shells that made sense. You just never know who will treasure odds and ends tucked away in your closets and basement. Can I really get rid of it all? This process might sound easy in this article, but I assure you it was not. I’m that girl who wanted to have a comfortable and warm home to live in at the young age of 23. I started early collecting used IKEA furniture, and shopping the sales at Marshall’s to outfit my kitchen with artsy serving dishes. I put effort into making my home feel cozy and warm, and I spent time rearranging furniture to achieve this effect. I loved my house and I loved all the stuff in it. There was no way that I ever thought I would get rid of it all! In addition, I have a savers mentality: wouldn’t I someday want my camping tent again? Wouldn’t it be very useful to have those pretty and colorful rugs in our future home in France? If we move back to the US sometime, shouldn’t we keep that nice toaster I found? The answers to these questions are: Yes, I could part with all of them, and no, I would not need that tent or that toaster. Those answers did not come easily, as I resisted purging of any kind. To achieve my goal of moving to France to be with my love, I had to take my time, and think carefully about each item. I turned my thoughts inward as I examined my values and my legacy, and my budget. I knew that a greater happiness awaited me with my new husband, and that this was just one minor stepping stone to my new life in France. Keeping those goals in mind helped me prioritize and not let my emotions stop me from purging those very unimportant items. Now that I’m in France, I’m glad to have shrunk my life down to the bare-bones essentials, because in the end, I feel free! I’m free of objects that I rarely or never used. I’m free of items that were broken or needed repair. I’m free of everything I was keeping for those “what-if” moments that never came.